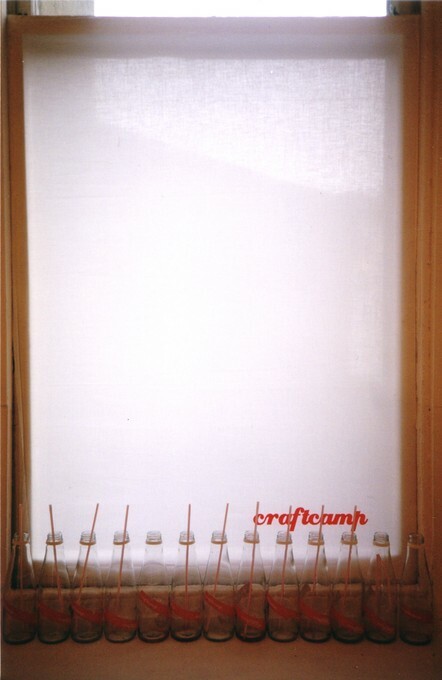 A collective started by Gabby O'Connor and some of her friends in Australia and Japan, craftcamp was devised on the road. The craftcamp ethic draws together a number of things - portability, traditions of craft, commercial branding with an underlying aesthetic of ‘because it's pretty.' The craftcamp collective for the Enjoy exhibition encompassed around 30 people and their contributions. 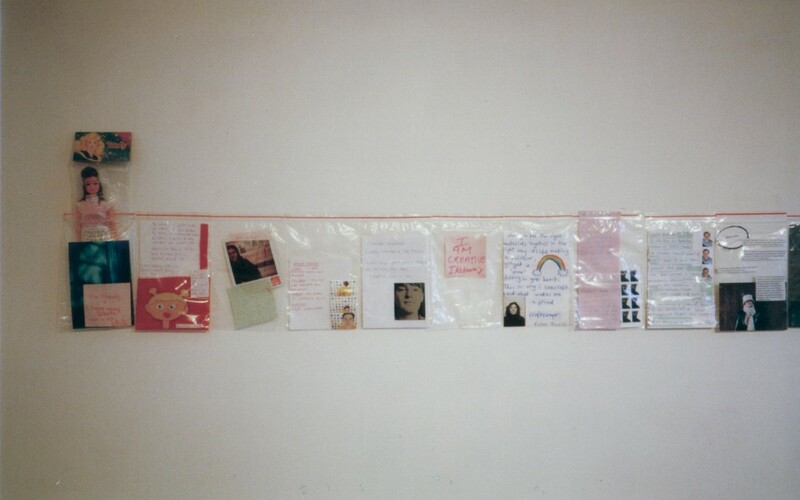 The show was co-ordinated and curated by Gabby O'Connor and Genevieve Packer. Due to the commercial branding, which was part of the concept under the auspices of the NEW series, Gabby and Genevieve, sought and gained sponsorship from a number of companies who were all credited at the gallery as part of the exhibition and on the flyers for the show. 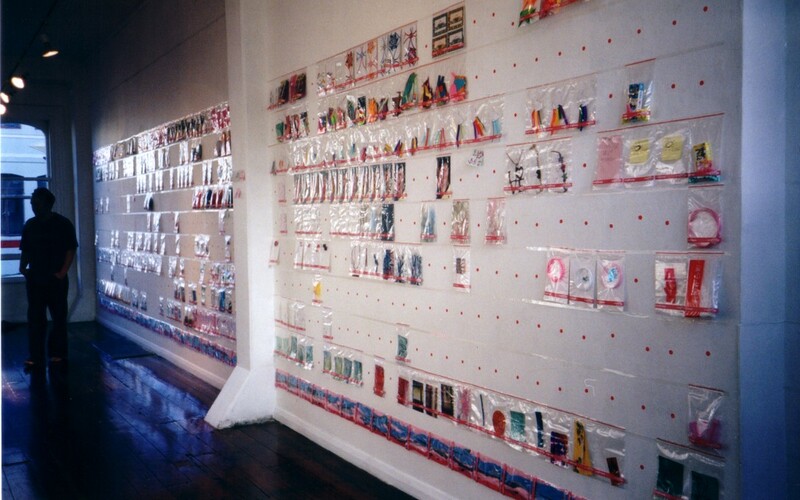 All the pieces in the show had to fit into a small ziplock plastic bag. This was in keeping with the portability ethic of the collective which meant that contributors from overseas could easily send pieces for the exhibition by mail. This size restriction was also a factor that gave the exhibition its cohesiveness visually. 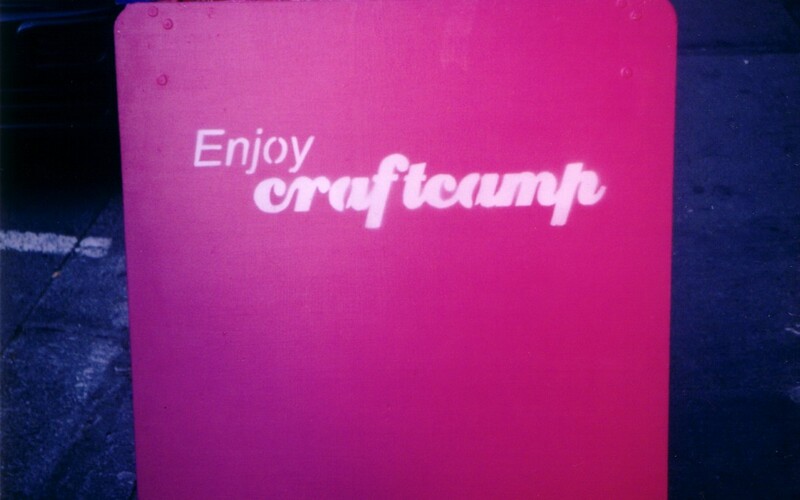 All the bags were labeled with a craftcamp sticker thereby branding the pieces. The bags were lined up on the walls in rows, going from above head height, but still visible, down to the skirting board. 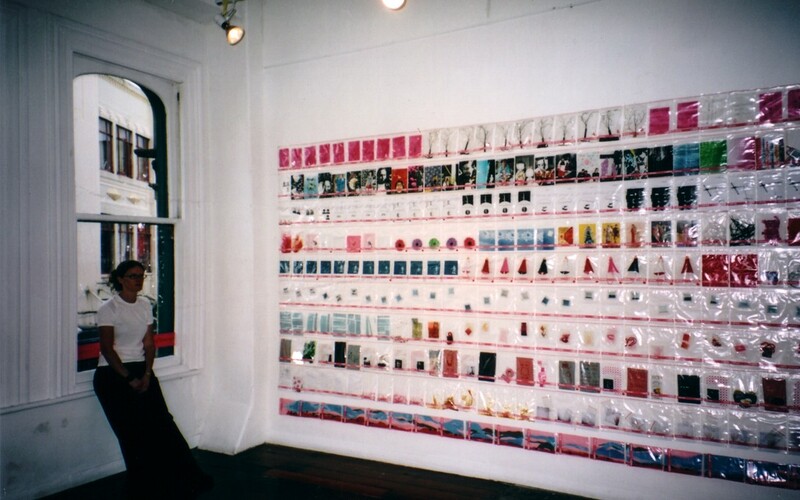 The uniformity of the presentation commercialized the pieces and made the gallery look like some kind of retail display unit. In addition to the commercial branding and display, the items in the exhibition were all for sale for $5 each. This created frenzy at the opening as people clamored to get the craftcamp knickknacks they wanted. 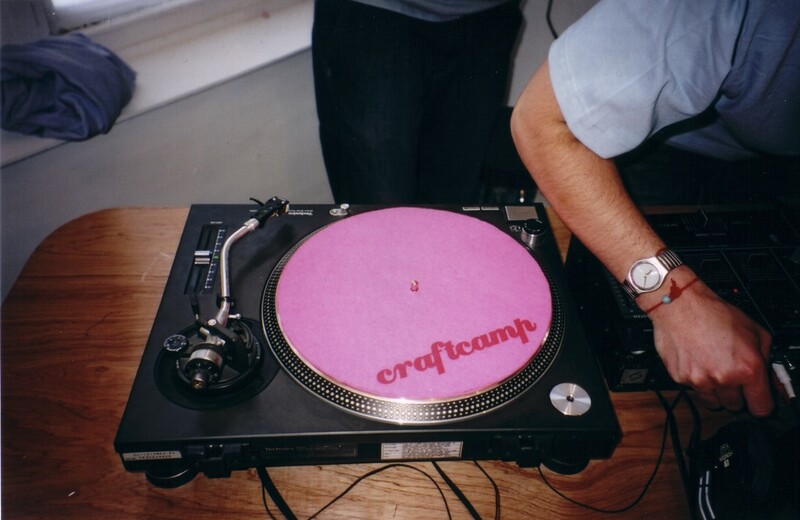 As an exercise in the combination of kitsch craft and the nature of commercial branding craftcamp allowed people to make desirable, affordable art & craft objects their own. Focusing on consumerism and the homogenizing of branding while at the same time celebrating prettiness and the fun of affordable consumables. People love purchasing, it satisfies some kind of urge to possess. 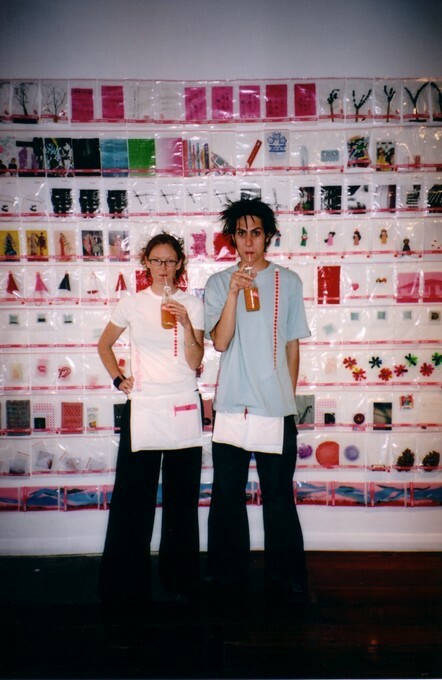 In the NEW series (February – May, 2002), Enjoy sought to encourage work exploring the concept of youth, popularity and notions of authenticity. Works addressed the production of popular culture and the particular ways in which the new is conceived, packaged and presented.